This wonderful gilt bronze bust of Julius Caesar would have originally have been made to be fitted over a doorway in a grand, Neoclassical-style interior. 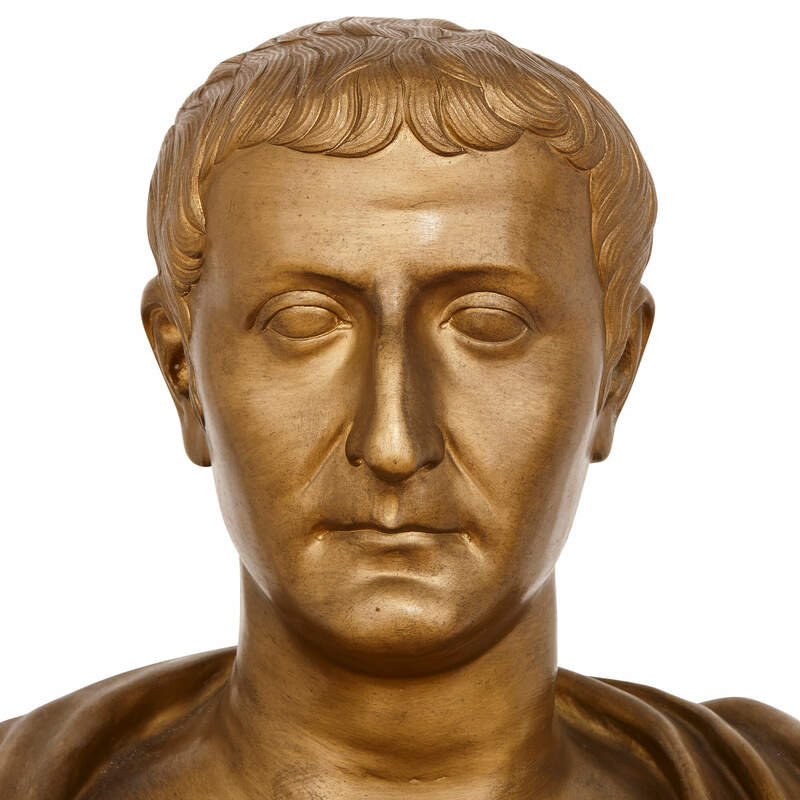 The work of sculpture depicts the bust of the Roman general Julius Caesar (100-44 BC). Caesar is one of the most iconic figures in the history of Ancient Rome and has been the subject of numerous works throughout art history. 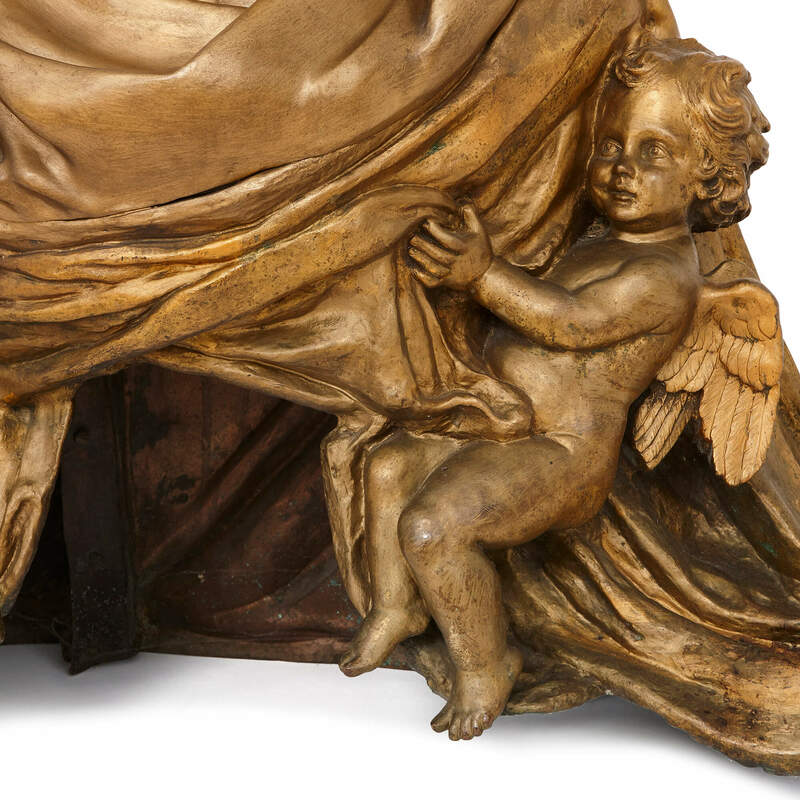 The head and shoulders of Caesar are realistically depicted, clothed in drapery that scrolls outward to each side, and with twin winged putti shown sitting below each of his shoulders. 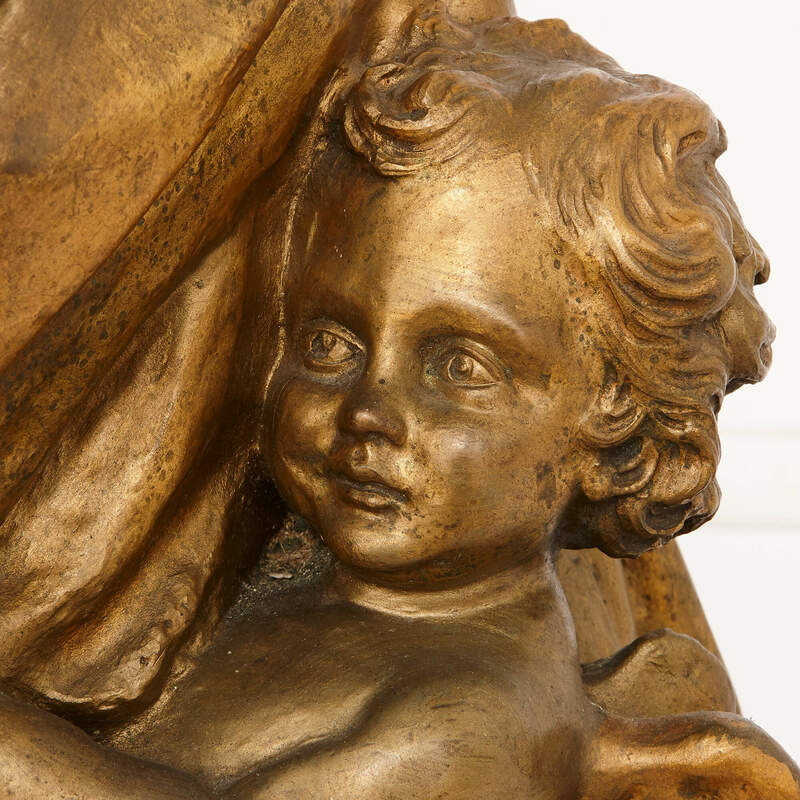 The bronze is a rare and unusual piece of sculpture. 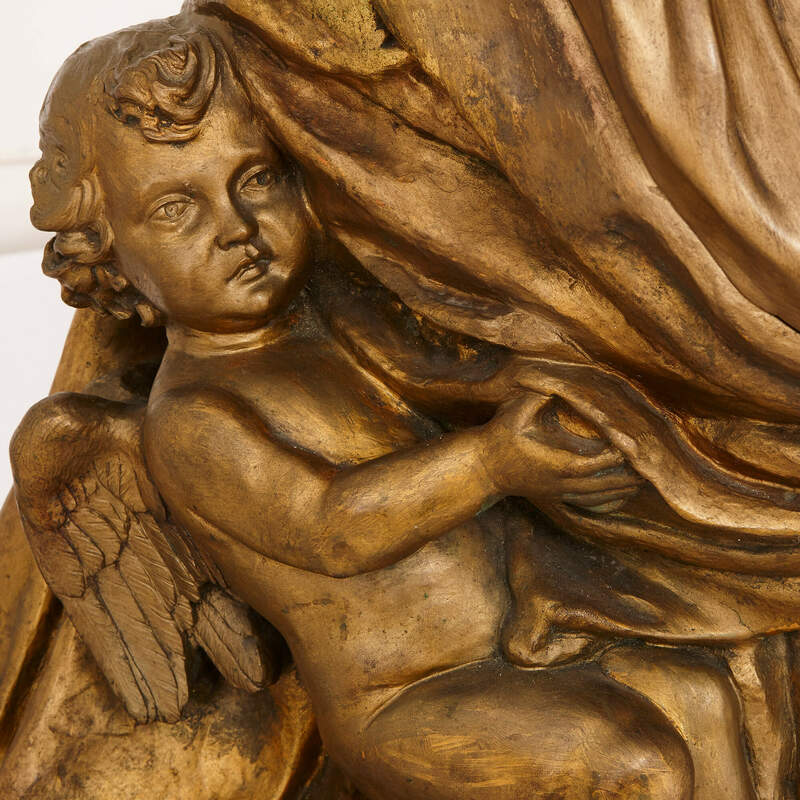 It would have originally been intended to form part of an overdoor (also known as a 'supraporte'), the name for a type of decorative panel above a doorway which was popular in grand European interiors in the 18th and 19th Centuries. It would have been displayed either as part of a relief panel, or as a stand-alone piece, and was probably made for a particularly magnificent entranceway. 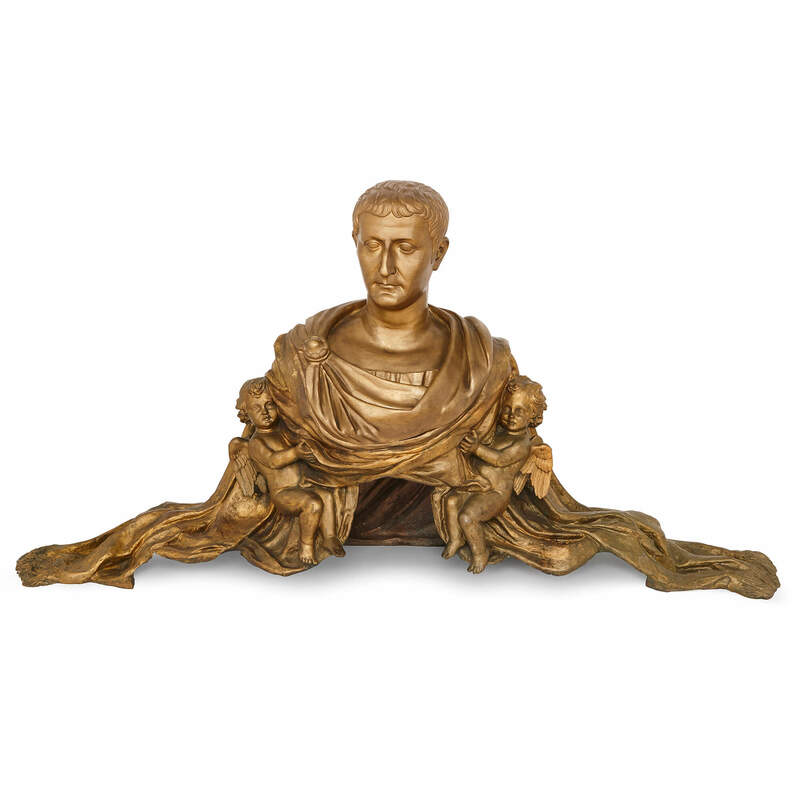 This fine piece will suit the interior of a Classically-inspired home.